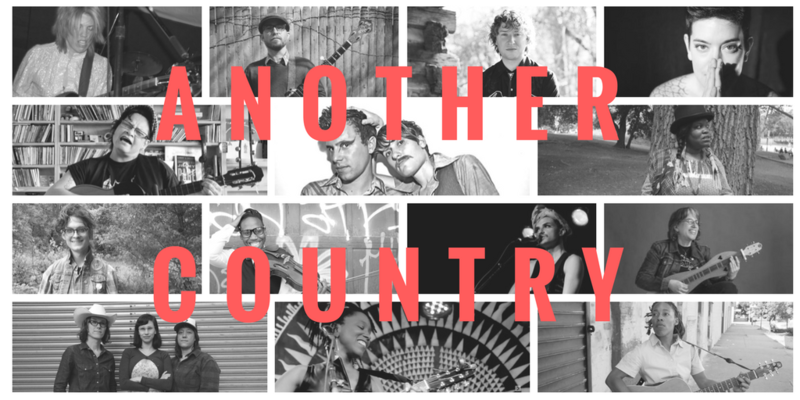 This November is a very special Queer Country Monthly. We’re celebrating Humble Tripe’s Record Release Party! A little more about the party and the record: In celebration of their upcoming release (out October 22nd), Humble Tripe returns to the QCM for a special full length performance of the album. With vocal performances simultaneously evoking that of Neil Young and Mazzy Star, Humble Tripe’s latest collection reflects a journey from delicate to dynamic, resting on the tender storytelling shoulders of front man Shawn Luby, all the while delivering a graceful offering: The Giving. 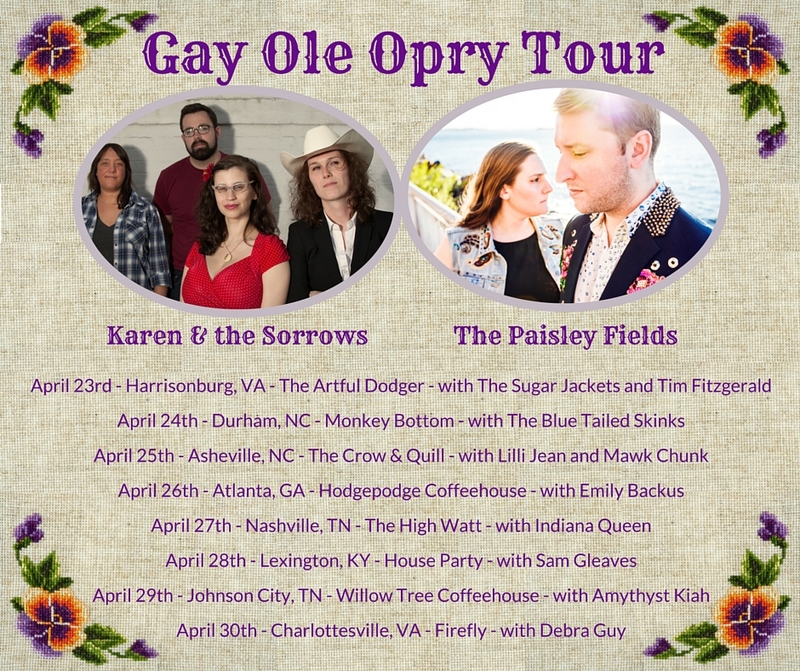 And for serious, queer country friends, I’ve heard the album and it’s AMAZING. You don’t want to miss this. Plus, the Sorrows and the super-talented Wiley Gaby will be opening. It’s gonna be a great night. Also, there is always a bucket of free candy for people who like candy. Pushing the boundaries of Folk-Americana, Humble Tripe moves from songwriter to symphony, resulting in a haunting landscape of beautiful swells, dramatic tension and space on their upcoming sophomore album entitled, The Giving. 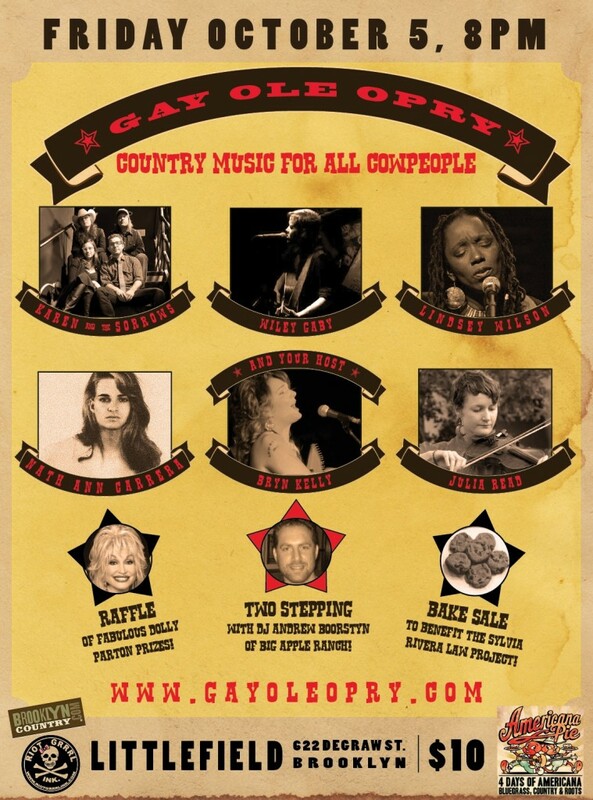 The Dolly Parton Raffle is Almost Here! I swear I didn’t plan to do an all-Dolly-Parton raffle again this year. It’s just that everything good in the world turns out to have a Dolly Parton theme. 1. 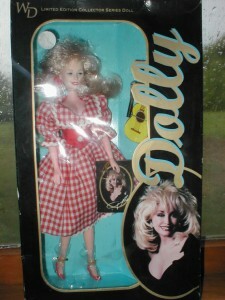 This is not just any Dolly Parton doll. This is an official Dolly Parton doll. Clearly, you NEED this. 2. 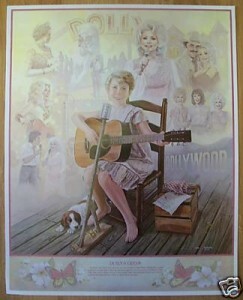 There is a lot going on in this “Dolly’s Dream” poster, so you might want to read up a little on your Dolly history to understand it all. 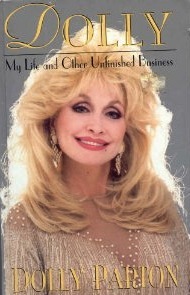 That’s why this prize also includes a copy of Dolly’s memoir, My Life and Other Unfinished Business. Just playing along with some great Dolly records is for amateurs. Though these two albums, Here You Come Again and Porter Wayne and Dolly Rebecca are a good start. 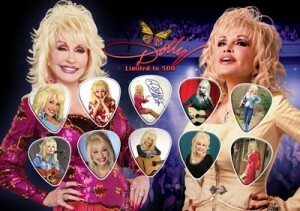 But real Dolly fans only use Dolly picks. Build your Dolly film collection with the Great Mustache Trilogy: The Best Little Whorehouse in Texas (Burt Reynolds mustache), 9 to 5 (Dabney Coleman mustache), and Steel Magnolias (Tom Skerritt mustache). 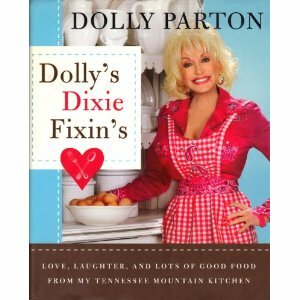 Dolly shares all her cooking secrets with you in Dolly’s Dixie Fixin’s. 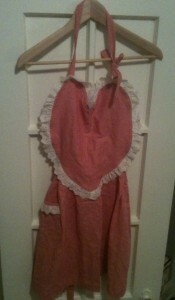 Of course, you will also need this red gingham heart-shaped apron to go with it. Because obviously Dolly would not approve of you cooking her mother’s recipe for Banana Pudding in just anything.